The weather forecast for this summer is scorching hot and the lottery results in Australia, Europe, and North America are causing lottery fans’ temperature to rise across the globe! With enormous jackpots and impressive rollover streaks, this summer’s lottery draws are on their way to shattering record high temperatures like 42° Celcius in New Zealand, 44°C in France, 50°C in South Africa and 57°C in California. Some of the world’s record-topping jackpots were won under a burning-hot sun. 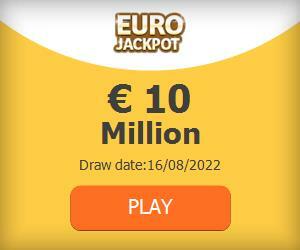 A EuroMillions €185 Million jackpot won on July 12, 2011, was the largest single-ticket prize in EuroMillions history. One winner collected a €147.8 million SuperEnalotto jackpot on August 22, 2009 making this the largest single-ticket win for the SuperEnalotto Italy draw. In the U.S., a weather forecast for sunny skies and balmy weather means prime time for impressive 9-digit lottery jackpots. On August 28, 2009 a $336 million Mega Millions jackpot was split between two tickets, one from New York and the other from California. Two years earlier in August 22, 2007, four winners shared a $330 million Mega Millions prize and just three days later, one winner took home a $314.3 million Powerball jackpot! With Summer 2012 just around the corner, take a peek at theBig list of huge jackpots to see which lotteries are heating up the international lottery scene. While the list’s heavy hitters, Mega Millions, EuroMillions, SuperEnalotto and US Powerball Lotto will surely churn out big winners this summer, all eyes are on the newcomers to lottery category that features the world’s biggest jackpots. Smaller US state and national lotteries, such as California Super Lotto, New Jersey Pick Six and UK National Lottery are now ranked at the top of theBig and outdo the big name lotteries with impressive winning odds, meaning that this could be the summer of the underdogs! These lotteries may keep a low profile, but they pack an amazing prize punch! Summer vacation is lottery season and draws around the world offer special promotions and seasonal draws to honor the summer sun. In July 2008, Florida Lottery started the Florida Lottery Summer Cash lottery. Once a week, instead of winning a cash prize, the second prize winners would win gasoline for life. With 26 prepaid gas cards a year until you die, each worth $100, many Florida Lottery Summer Cash players thought that the second prize is worth much more than the jackpot! Whether hot, breezy, sunny, or overcast, huge lottery wins are undoubtedly in the weather forecast for this summer. Follow over 40 worldwide lotteries at theLotter to see who will emerge this summer’s star!